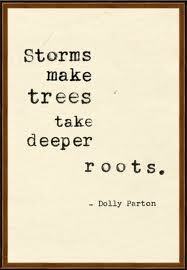 …I hope so, but I wish I wouldn’t need deeper roots at all. I wish I could just wake up and be “fine”again but this will never happen…I went through so much pain since my diagnosis 8 weeks ago and wonder if this still is RRMS as I just finished my second Solu Medrol round and feel worse than ever. Will it ever get better?!?! i found this article helpful to understand what solu medrol does. Well, I have the same problem. I took cortichoesteroids and hidrxichloroquine everyday (and other pills too), and my body had to adapt to this bomb of medicines, even sometimes this adaptation is a mess. My only advise: take a long breath and have patient with your body. Have a nice day.